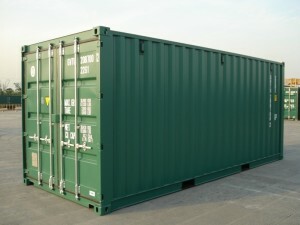 Storage containers are available for rental close to Huntingdon, Cambridgeshire. We currently have 20ft shipping containers available for storage. Access is via keypad gates with individual locks on units and CCTV for security. Power and 3 phase supplies are available for some units and with arrangement. A storage container is a suitable size for moving house, general storage or storing goods for a business. Some containers have racking inside along the sides of the containers. From £70 a month + VAT. Storage containers are clean with good access and excellent value. Our site has excellent access from main roads to allow vehicles of any size. Near Huntingdon (2 miles), Cambs. St.Ives -6miles. Excellent access A141 -1 mile, A14 & A1 -3.5miles. Please email us (lettings@penn-studios.co.uk) if interested.